Many people are going organic these days, but it can be hard to afford an all-organic lifestyle when it comes to buying fruits and vegetables. Additionally, the organic selection at traditional grocery stores can be limited, especially at certain times of the year, so you are forced to buy non-organic produce. Either way, it is helpful to be able to remove some of the pesticides that coat the outsides of non-organic produce! 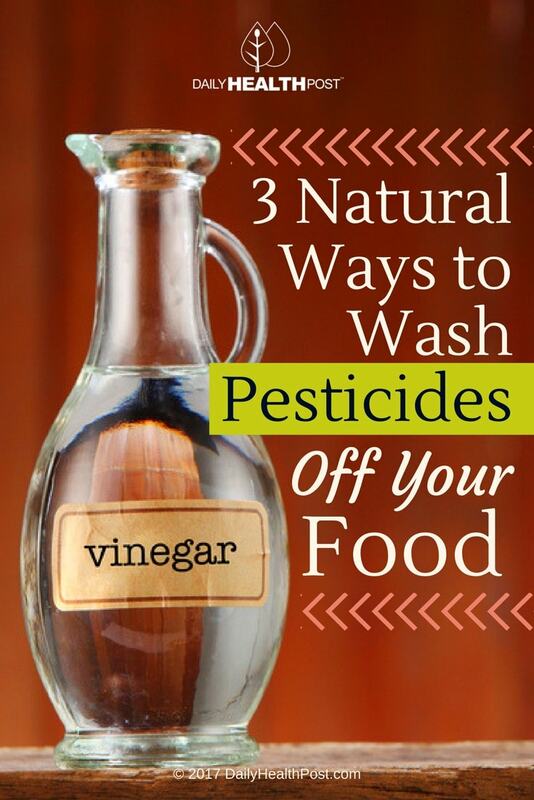 Read on for three natural ways to wash pesticides off from your food! 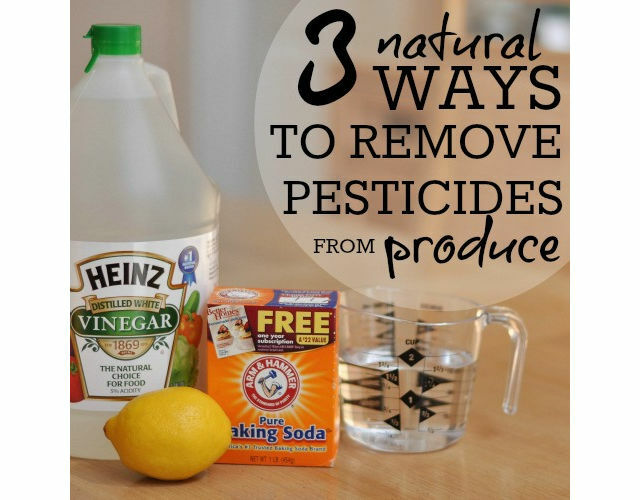 Did you know that removing pesticides can be as simple as vinegar and water? That’s right, just two ingredients to healthier & cleaner food! Fill up a large bowl or your kitchen sink (pre-cleaned, of course!) with 1 part vinegar and 4 parts water. Let your fruits/vegetables soak in this mixture for up to an hour (non-organic apples can soak for an additional 30 minutes to an hour). Remove the produce from the mixture, give them another quick rinse with water, and they are ready to eat! 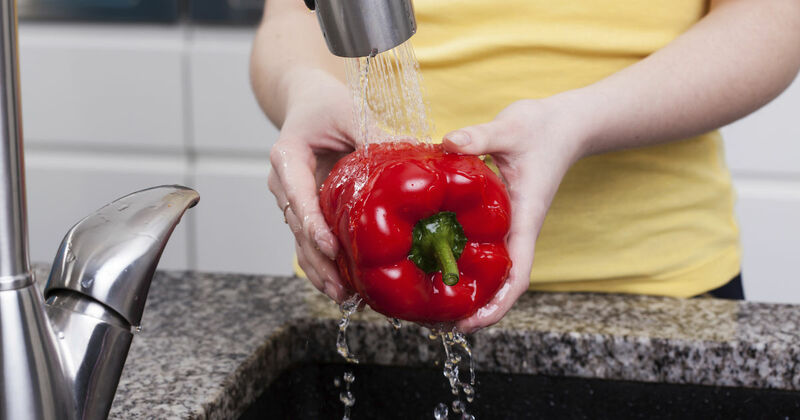 Take a peek at the leftover “soaking water” after this process – you should be able to see all of the gunk that came off the produce! This mixture also helps to extend the life of your fruits and vegetables so that they last longer without spoiling. This pesticide-removing natural spray is super simple to make with ingredients you probably already have in your kitchen! There are many commercial produce wash products available. Be sure to read the ingredient labels and avoid washes that contain harsh chemicals as it defeats the purpose of removing the pesticides in the first place. How do you remove pesticides off your produce? Let us know in the comment section!